Usually whiskybrands are very protective about their brands names. 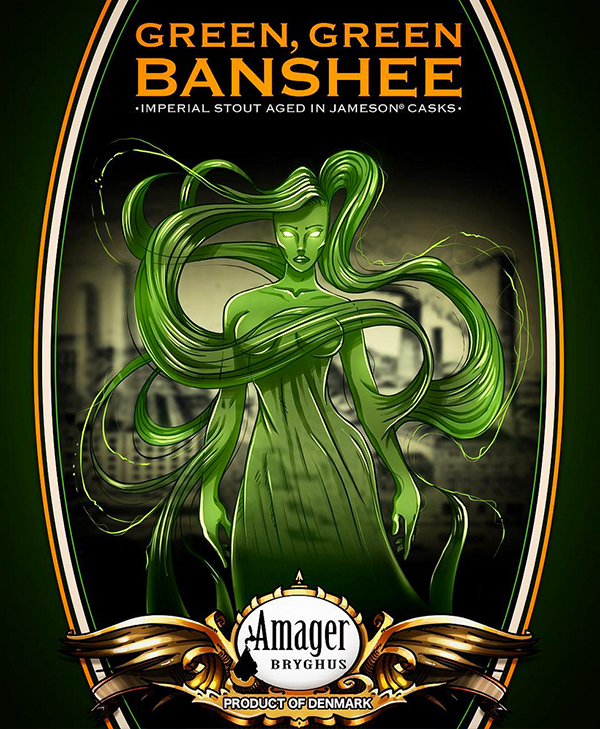 But Pernod Ricard approached the danish brewery Amager Bryghus (Amager Brewhouse) and asked if Amager could do some things with a set of Jameson casks. Amager had a visit of a group from Pernid Ricard, and after tasting some beers and agreement was made. Early 2016 eight casks (both ex-sherry and ex-bourbon).were delivered from Midleton (where Jameson is made today) and they were filled with an imperial stout. A stout is a dark beer and imperial versions of beers is used to describe a beer that is very strong in alcohol and flavour. So what's in it for Amager? Amager more or less got known in the big world of craft beer by making collaboration brews with some of the best breweries in the world. Beer entusiasts know that a world class brewer only will make collaboration brews with the best. This is not a collaboration brew, but working together with Jameson is just another step for Amager. And very important, it secured delivery of totally fresh ex-whisky casks to the brewery. The shorter time there is from emptying whisky from a cask to filling it with beer, the better the prior content will affect the beer. The wood is still soaked in whisky and the the longer you wait, the casks will dry out. Casks are expensive and distilleries tends to use casks until they have nothing left to contribute to new spirits anymore. Ex-bourbon casks have only been used once for whisky and then nothing else, while ex-whisky casks had bourbon, sherry and whisky in them more times.Having direct connections to a distillery or bottler that matures whisky could potentially give you access to a lot better casks and not just something they can't use anymore. So how is the beer?